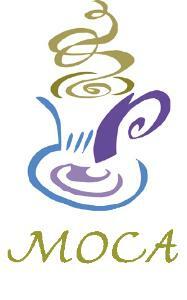 MOCA stands for Moms of College Aged - as in kids (we allow moms of Seniors - Moms of 98 yo). Over the summer I began to realize mom's with children stateside is a demographic which we were missing. We got chaplain approval. Ruth, a great friend who happens to be the PWOC Prayer Coordinator, agreed to help get it off the ground. SWEET FELLOWSHIP tonight. Seven of us sharing our children, our hearts with each other...in a safe environment. All agreed to commit to pray daily for each other's children and for our hearts as we are so far apart. Several have seniors this year and I know the transition will be much easier with a group of praying sisters who understand surrounding them. Really....this is a whole new stage of parenting and it's a joy to offer each other support. We agreed we want to meet monthly. We're trying to pick a good night. We don't want to conflict with any other chapel program...at this point there is PWOC on Monday night, Book Club and PMOC on Tuesday, AWANA on Wed, and Friday has PWOC Crafty Gals every other month and Date Night too.....so really....all those "once a month" things will add up if we aren't careful. We'll find a time...it appears either Thursday or Friday.